“How do I get a metal credit card?” Definitely a question we answer a few dozen time a day. Yet, without being biased toward any particular metal credit card option, I have written this blog post. Hopefully, to help those of you that are not yet ready to upgrade your cheap plastic credit cards to metal. I’ll be the first to say, getting approved for any of the heavy luxurious metal credit card is NOT easy; but not impossible. For example, the American Express Centurion card, aka “the Black Card™”. 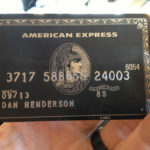 Last I checked, and please feel free to email me if I’m wrong, if you are a Platinum American Express card member and spend north of $250k a year you can apply directly through American Express to get your hands on this legendary card. But there is a catch, your initial annual fee is $7,000 USD and $2,500 annually thereafter… Included with the Titanium coated black card are plenty of perks, blah blah blah. Needless to say, many of us do not spend 250k annually, but for those of you that do, a Centurion card might be up your alley. But if you’re like me and cringe at the idea of spending $7,000 to get a metal credit card the following are my Top 10 picks for an alternative to the Centurion based on the “Cool” Factor. Cool Factor: Definition (expression) “Did you notice how heavy that man’s credit card was? OMFG it felt like a weapon. I know right! So Cool!. Now, I’m not going to get into detail about all the specific perks that each card yields the end user. I’ve listed them here because they ALL meet that “cool” factor. All of these cards are made with a stainless steel core and weigh significantly more than their cheap plastic counterparts. So if you need to know all the nitty gritty of each card or want to apply for one you can click HERE for an excellent write up detailing each of these cards perks, fees, etc. I like these cards so much because I’ve personally held each one of them in my hands and noticed their significant weight. In comparison to the cards my company offers, these cards definitely hold their own air of luxury, yet still not as heavy; (MCC Matte-Black, 0.9 oz) I personally tend to steer toward the darker colored cards, like dark blue and dark grey, yet few credit card companies offer attainable black cards. Take a look HERE to see the Top 10 Black cards that most people don’t know about. Ultimately, if you are like me and look for a credit card that has little to no annual fees, heavy & affords me plenty of rewards, any card on my list will fit the bill. But, as the owner & founder of Metal-CreditCard.com know that I’ve upgraded ALL my reward cards to 100% metal. So much for being unbiased.